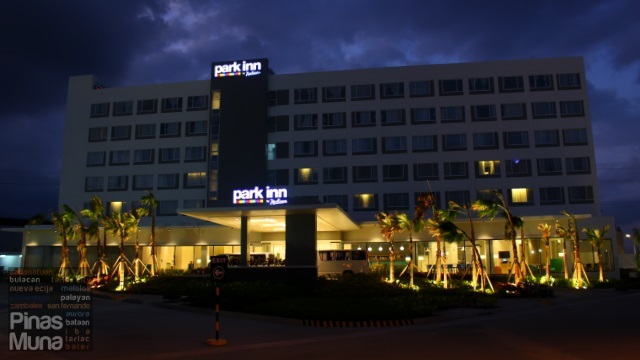 Park Inn by Radisson Clark is a 154-room, mid-range hotel centrally located right beside SM City Clark and Clark Freeport Zone. 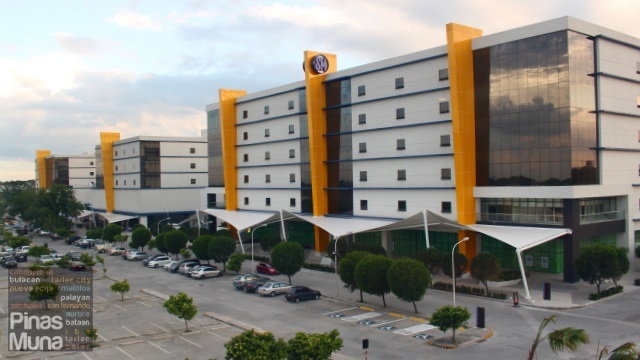 The hotel opened in January 2016 making it the newest hotel in Pampanga's Greater Clark Area and the whole Metro Angeles. 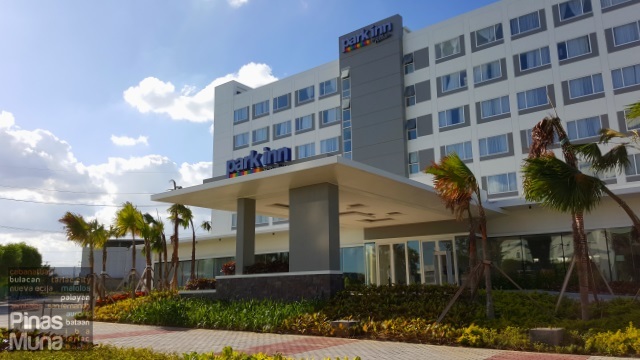 Park Inn by Radisson Clark caters primarily to business and leisure travelers who are looking for a trusted international hotel brand that offers world-class yet affordable accommodation. 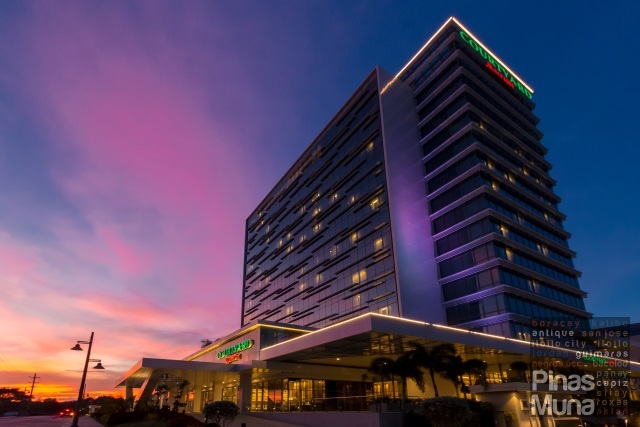 Guests staying at Park Inn by Radisson Clark will not only enjoy the accessibility of the hotel from the Clark International Airport and Dau Bus Terminal, but will also benefit from the conveniences of being located right beside the SM City Clark that offers countless dining, shopping and entertainment options. 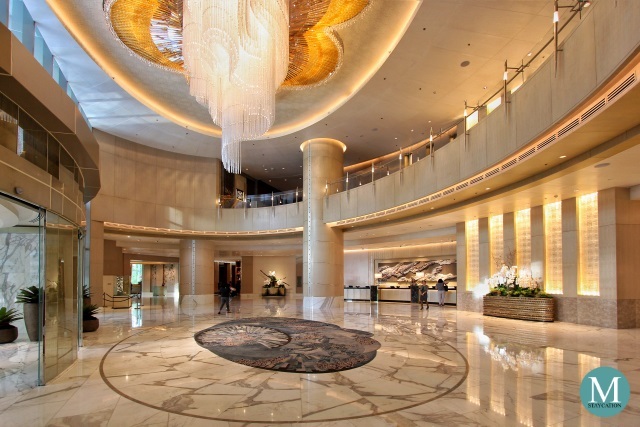 Entering the hotel, you will be welcomed by the bright, spacious, and well air-conditioned lobby. The highly trained and well groomed front office receptionists will handle your check-in with efficiency without losing the distinctly warm Filipino touch in hospitality. 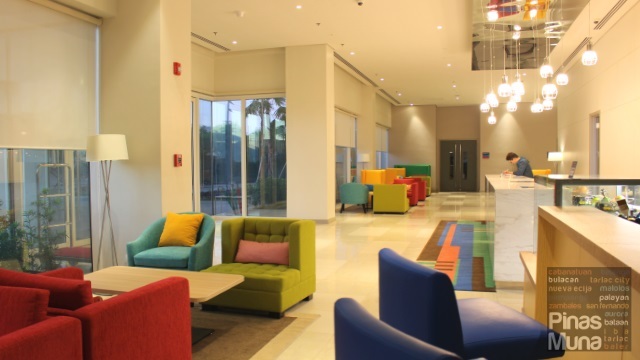 Next to the reception area is a spacious receiving area with lots of colorful sofas in different shapes and designs. 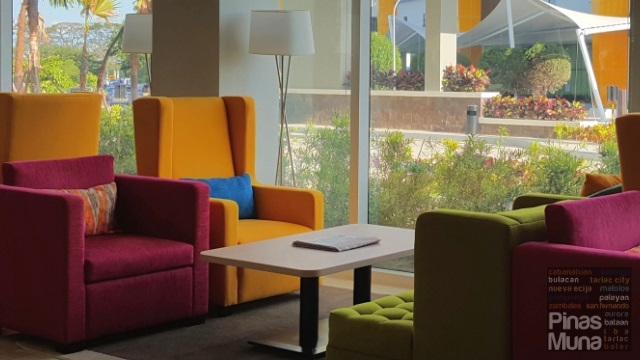 The area is the perfect place to wait for your companions or to receive visiting guests or business associates. 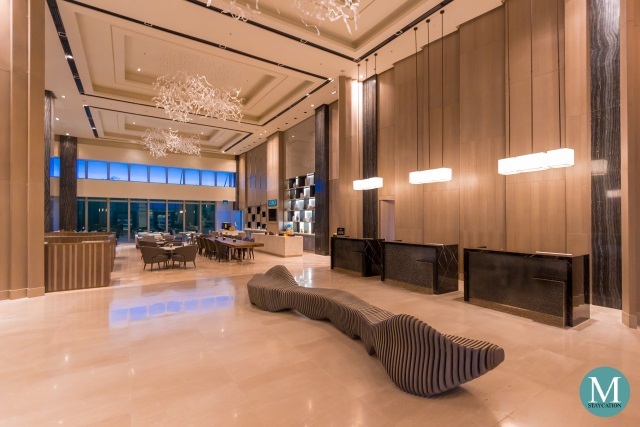 On the other side of the reception area is the Lobby Bar where you can enjoy a refreshing drink of fresh and chilled fruit juices, a quick caffeine fix with freshly brewed coffee or espresso drinks, or unwind with your favorite cocktail. It is open 24 hours. We stayed in a Standard Room located on the third floor of the building. The room was already pre-cooled when we arrived. Everything looked new and smelled fragrantly fresh. The room measures 21 sqm and is furnished with a king bed, a couch, a writing desk and a cabinet. The bed is covered with plush linens made of high thread-count cotton fabric while the pillows are soft enough so that your head will sink into them while giving enough support to the neck for that comfortable and rejuvenating sleep. 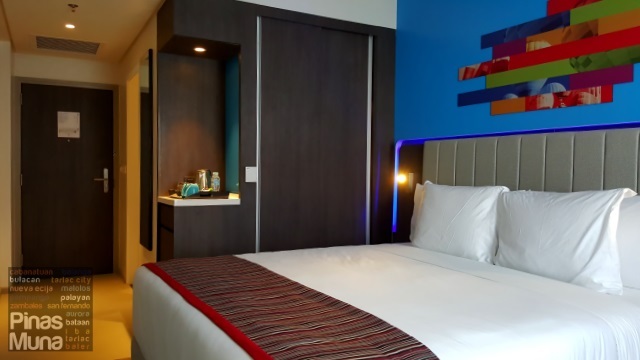 Just like the rooms at Park Inn by Radisson Davao, I also love the vibrant design of our room at Park Inn by Radisson Clark. Notice the colorful wall art mounted above the headboard which integrates photos of the famous Hot Air Balloon Festival of Clark? Corners of the headboard are also illuminated by blue LED lights giving the room touches of hip and contemporary styles. Check out the video below for a quick tour of our Standard Room. The ensuite amenities include a LED television with local and international cable channels, a minibar, coffee & tea making facility, electronic safe, telephone with domestic and international calls, and free WiFi Internet access. Two complimentary bottled water and two pairs of room slippers are also provided. A sliding door separates the ensuite bathroom from the bedroom. There's a single basin of excellent quality. Water pressure from the tap is strong. Handsoap and dental kits are also provided. A hair dryer and a magnifying mirror are installed next to the wash basin. The toilet works perfectly and is installed with a bidet. The walk in shower has a rainshower head installed to the ceiling. Water temperature can be regulated from the hand-held shower which can then be diverted to the rainshower for a more enjoyable shower experience. Dove toiletries are provided. Towels are made of high quality, thick cottons which are new, clean and smelling fresh. 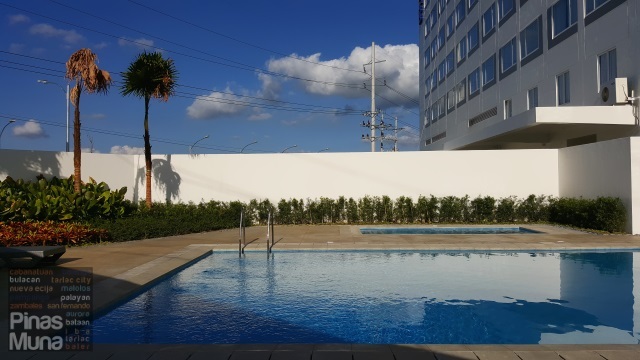 Back on the ground floor, guests can enjoy amenities such as the outdoor swimming pool to escape the afternoon heat. There's also a kiddie pool for the young ones. 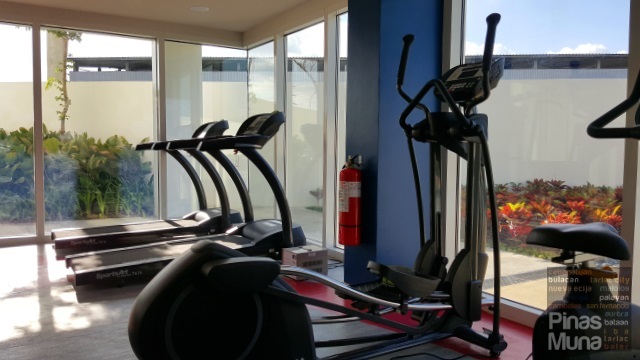 Guests also get free access to the hotel's fully equipped gym located next to the swimming pool. 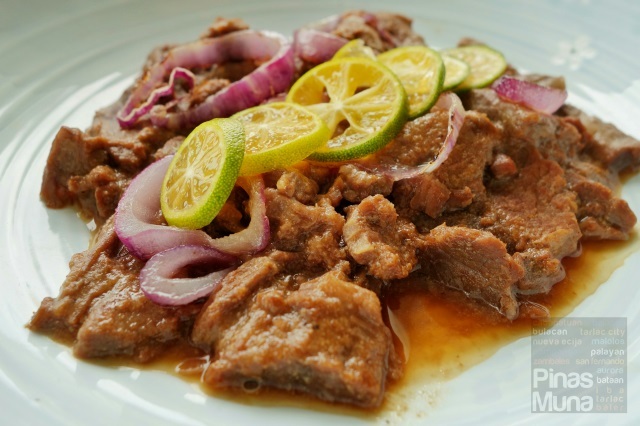 If you are looking for food adventure, look no further because HUES, the hotel's all-day dining restaurant, serves both international and local dishes, including some Kapampangan delicacies which you shouldn't miss when visiting Clark. 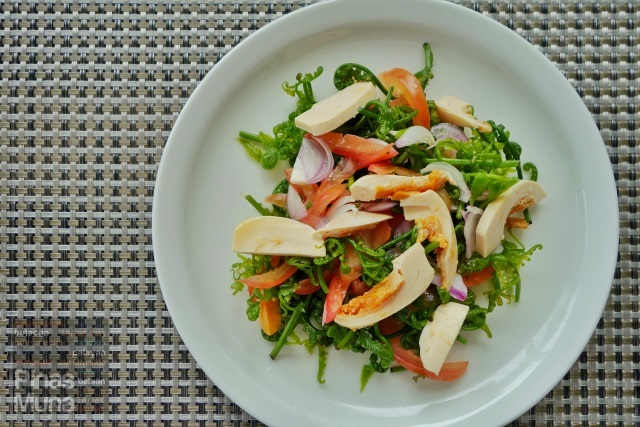 Start your meal with Pako Salad made with fresh fiddle fern mixed with tomatoes, onions and topped with sliced salted eggs. 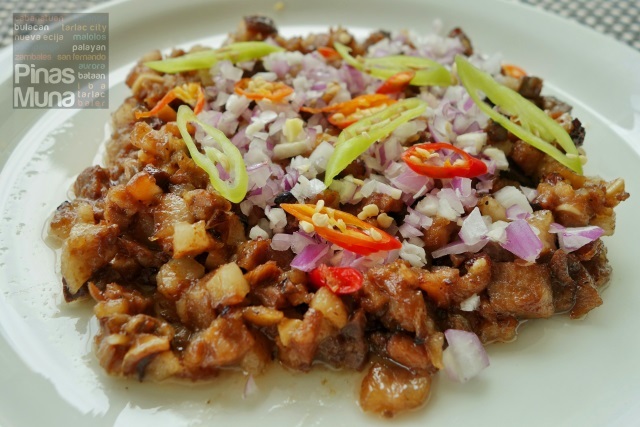 For the mains, you shouldn't miss the Sisig, a true Kapampangan delicacy made with grilled pork, chopped and seasoned with calamansi and topped with minced onion and chili, and served on a sizzling plate. 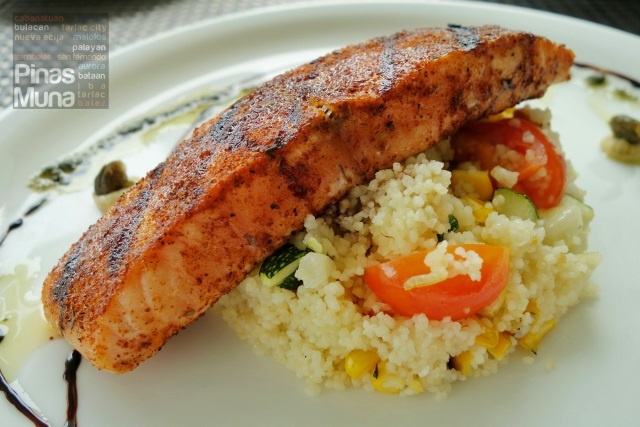 Among the international dishes on the menu is the Grilled Salmon served on a bed of Couscous. 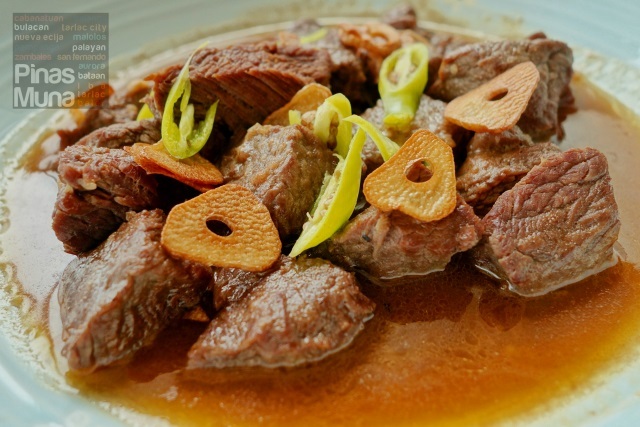 Other classic Filipino dishes worth trying are the Beef Salpicao and Bistek Tagalog which are both best paired with plain steamed rice. 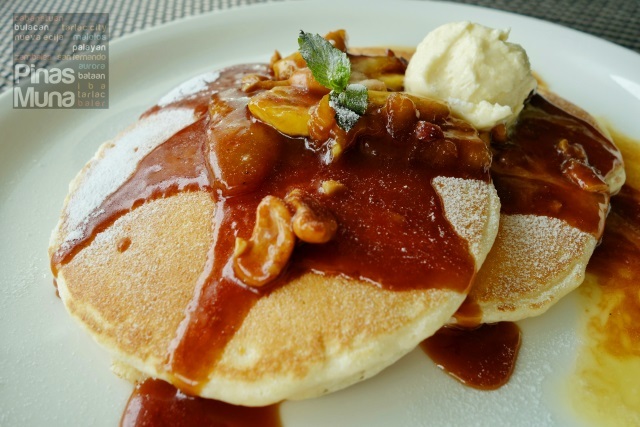 For dessert, you must try their specialty pancakes. 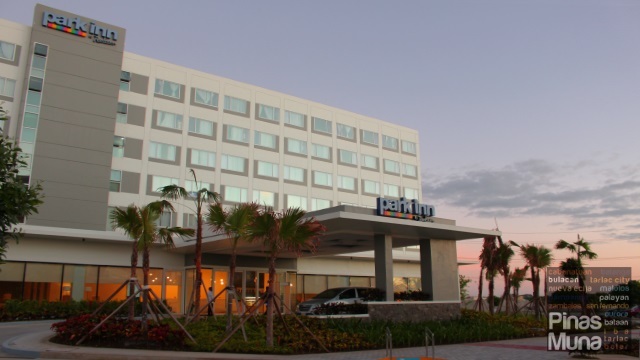 Overnight stay at Park Inn by Radisson Clark includes complimentary buffet breakfast for two persons at HUES. Breakfast is served as early as 6:00am in time for your morning meetings. But if your are on vacation or a weekend break, you don't need to get up too early because breakfast is served until 10:00am. 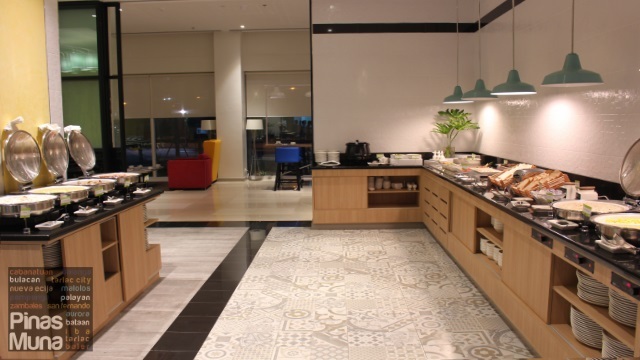 The buffet spread includes soup, fresh fruits, salads, breads and jams, and a number of hot dishes. There's also free flowing coffee and tea, as well as chilled fruit juices. 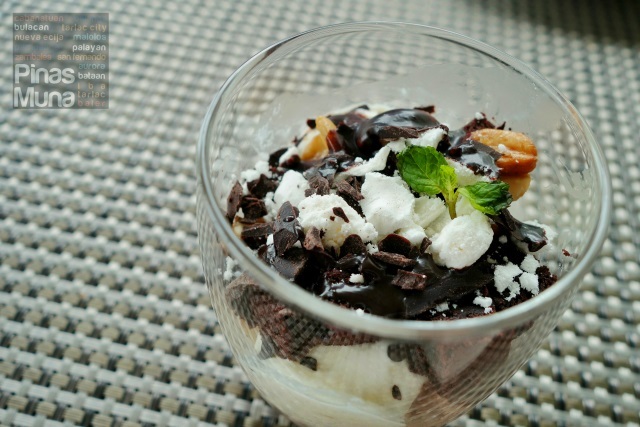 Here are some of the dishes served during our three day stay at Park Inn by Radisson Clark. 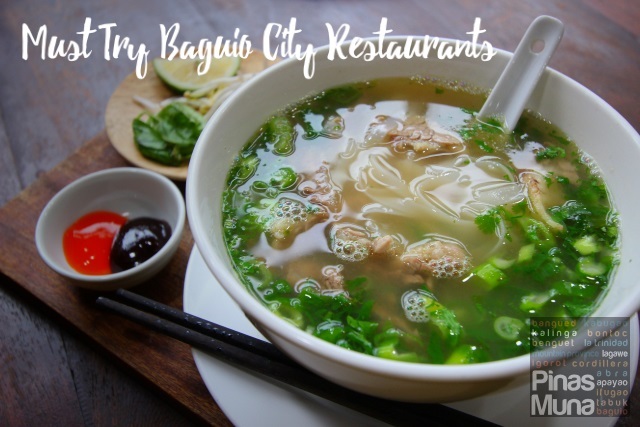 Dishes vary from day to day which has a good mix of international and local choices. On our second day at the hotel, we had champorado, mochi, garlic rice, longanisa, chicken adobo and scrambled eggs. On our third day, we had pancakes, bacon, and arroz a la cubana. 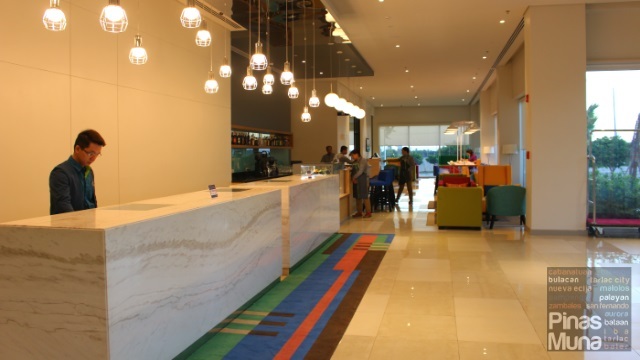 Overall, we loved our three day stay at Park Inn by Radisson Clark. The rooms are very well appointed with modern and state-of-the-art technology amenities. The beds are of top-of-the-line quality that ensured a comfortable and revitalizing sleep. 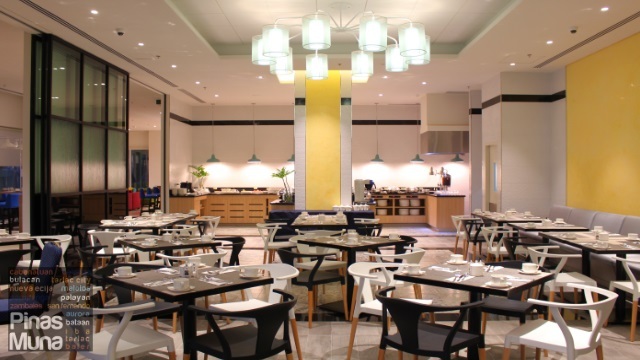 The hotel's restaurant serves delectable dishes which are matched with outstanding customer service. 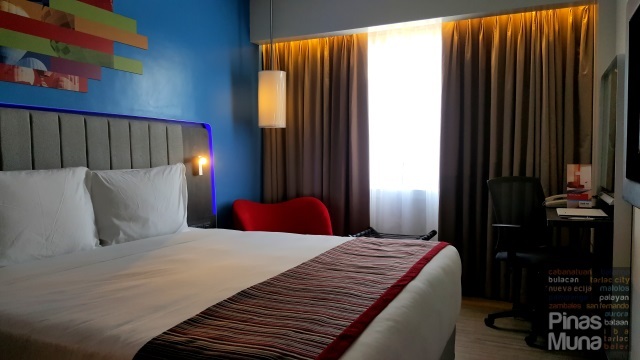 Most of all, Park Inn by Radisson Clark offers the most competitive room rates in the area making it the perfect choice for business and leisure travelers.